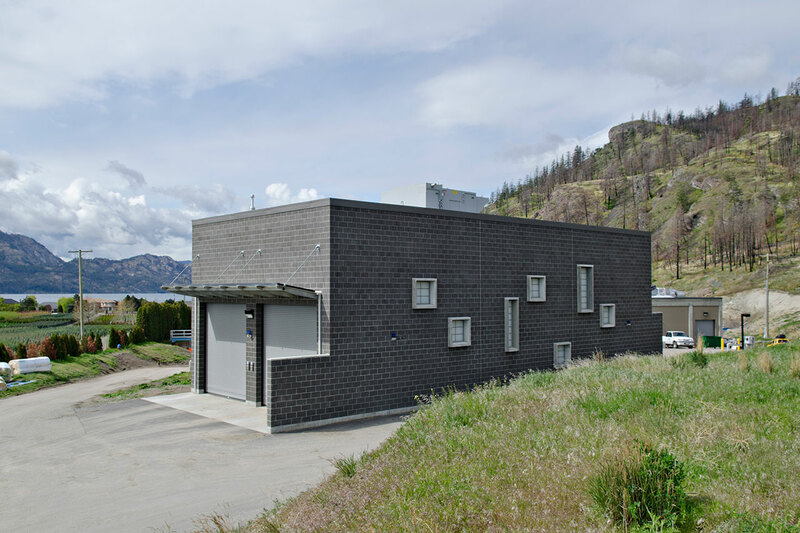 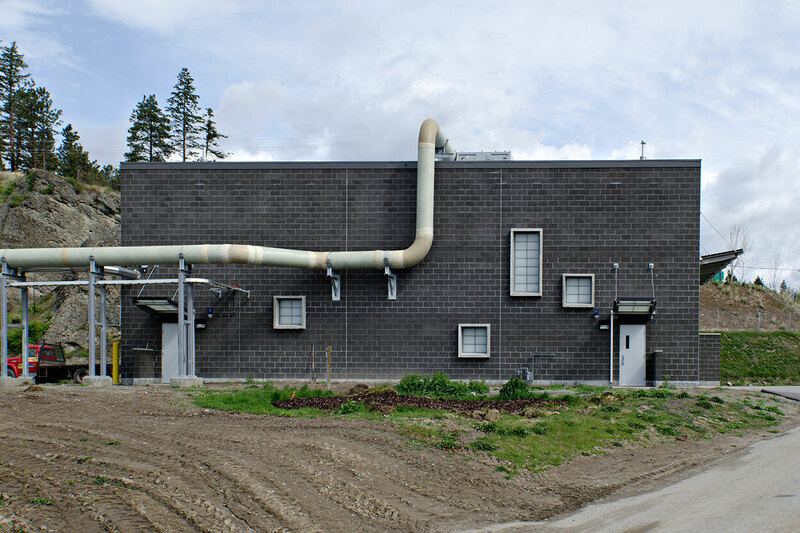 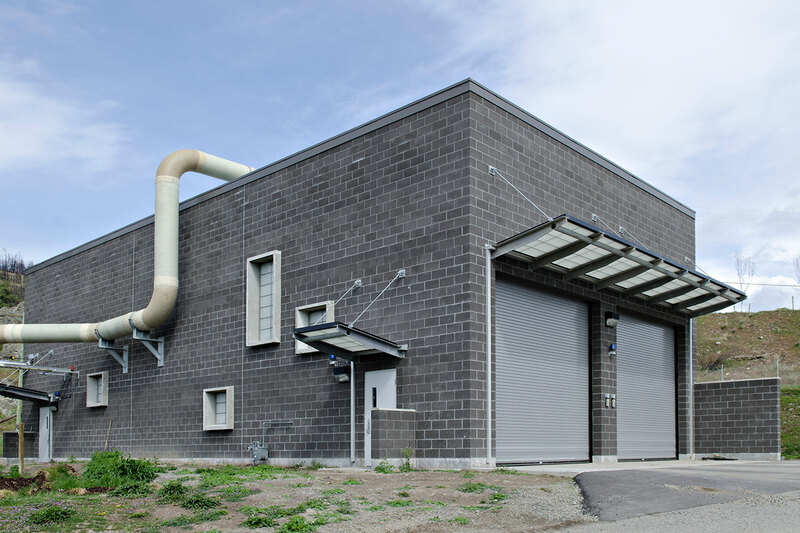 This 2,440-square-foot concrete block building is located at the entry to the upgraded waste water treatment plant. 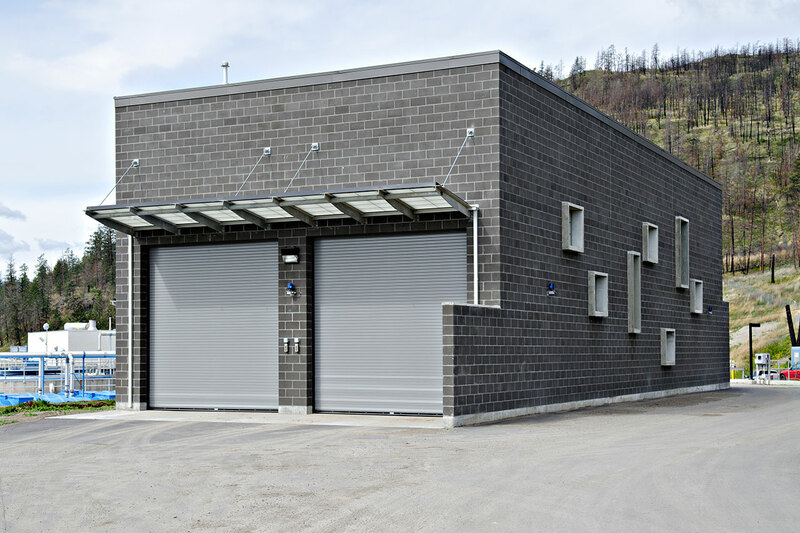 Translucent sandwich panels were used on the windows and canopies to diffuse the natural light entering the building, and to provide vandal-resistant surfaces. 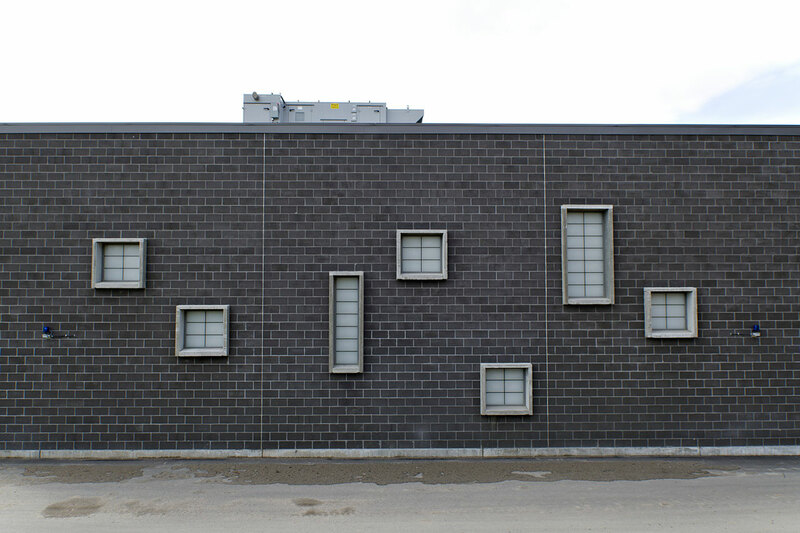 The non-linear glazed openings were intentionally spaced to admit daylight to the sludge dewatering garage and to provide a more playful, non-institutional facade to the adjacent residences.